Phillies top prospect Sixto Sanchez has been placed on the disabled list at high-A Clearwater. YONG KIM / Staff Photographer. Sixto Sanchez was selected to pitch in the Florida State League All-Star Game next Saturday in Tampa. But the Phillies top prospect won't pitch anywhere at all for the next few weeks. Sanchez was placed on the disabled list Saturday because of what Phillies director of player development Joe Jordan described as inflammation in the right elbow. Sanchez underwent an MRI exam, the results of which have led the Phillies to believe the injury isn't serious. Nevertheless, Jordan said the 19-year-old right-hander will be shut down from throwing for at least two weeks. "We'll let it calm down and see where it goes from there," Jordan said before the Phillies continued their three-game series against the Milwaukee Brewers at Citizens Bank Park. 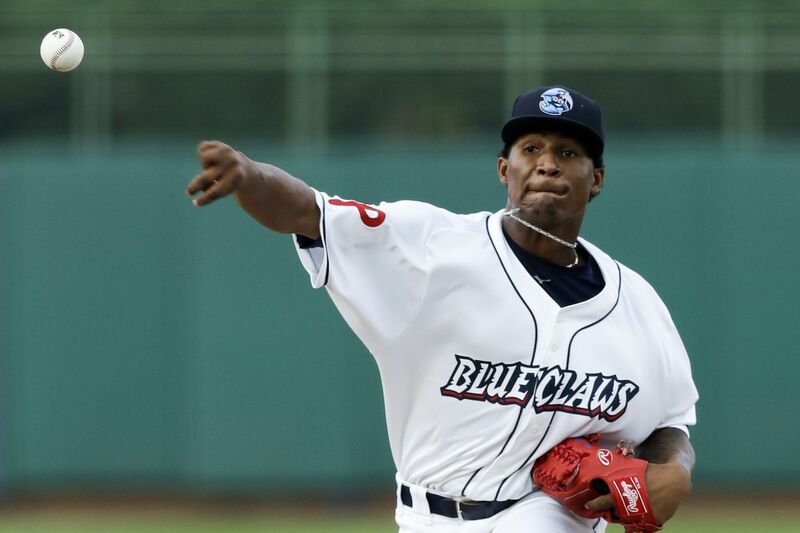 Although Sanchez is among the handful of the youngest players in the Florida State League, he has been one of its best pitchers, with a 2.51 ERA, 45 strikeouts and 11 walks in 46 2/3 innings over eight starts for high-A Clearwater. In his last four starts, he has given up two earned runs and fanned 29 batters in 25 2/3 innings, including a 10-strikeout game May 25 and seven shutout innings June 3. Sanchez is ranked as the 23rd-best prospect in baseball by both ESPN's Keith Law and MLB.com.